The new lineup is led by the flagship 8.9-inch Kindle Fire HD, which has a 1920-by-1200-pixel resolution packed into a screen that is slightly smaller than the 9.7-inch display of Apple's iPad. The upgraded display is said to have 25 percent less glare than its predecessor with a sharper, clearer picture with better contrast. The 8.9-inch Kindle Fire HD starts at $299 for 16 gigabytes, while a 32-gigabyte model is $369. 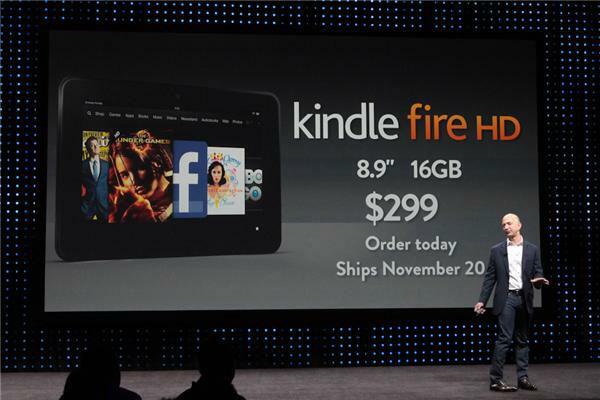 Though the new 8.9-inch Kindle Fire HD lineup was announced Thursday, the hardware will not ship until Nov. 20. However, a smaller 7-inch version of the Kindle Fire HD will ship Sept. 14 for $199, matching the price of last year's Kindle Fire when it first launched, but packing in 16 gigabytes of storage. A 32-gigabyte 7-inch Kindle Fire HD will run $249, and will be available Oct. 25. Both 7-inch models have a screen resolution of 1280 by 800. New additions to the Kindle Fire HD also include a forward-facing camera, HDMI output, and new stereo speakers with Dolby Digital Plus sound, an audio engine exclusive to the Kindle Fire HD. Dual Wi-Fi antennas will also run on the 5 gigahertz band for better wireless connectivity that Amazon claims is 41 percent faster than Apple's third-generation iPad. On the software side, the Kindle Fire HD has a slew of new features such as Whispersync for voice and games, X-Ray for movies through IMDB, and an all-new e-mail client geared toward corporate users with "world-class" Exchange support. A new built-in app called Kindle FreeTime also allows parents to set time limits for kids based on app categories, such as games, movies and books. 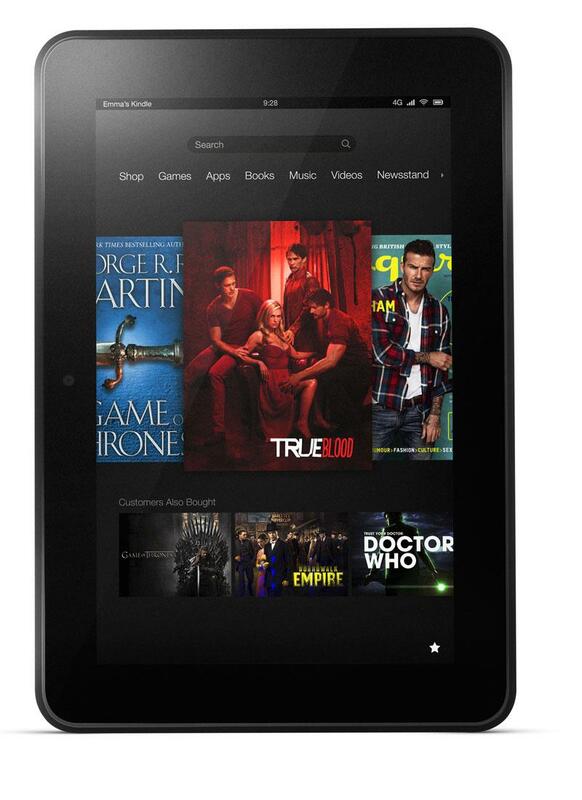 With the launch of the Kindle Fire HD, Amazon has dropped the price of the lower-end 8-gigabyte Kindle Fire to $159. While cheaper, the hardware has still been updated to be 40 percent faster and with longer battery life. Customers who order today will have the device ship on Sept. 14. For its e-ink lineup, the new Kindle Paperwhite display packs in 212 pixels per inch and is a capacitive touchscreen. Amazon's Patented Light Guide technology offers up to 8 weeks of battery life with the backlight enabled. The device is 9.1 millimeters thin and weights 7.5 ounces. New features include the ability to change fonts on the fly, and an estimate that tells readers how much longer until they finish their current book. 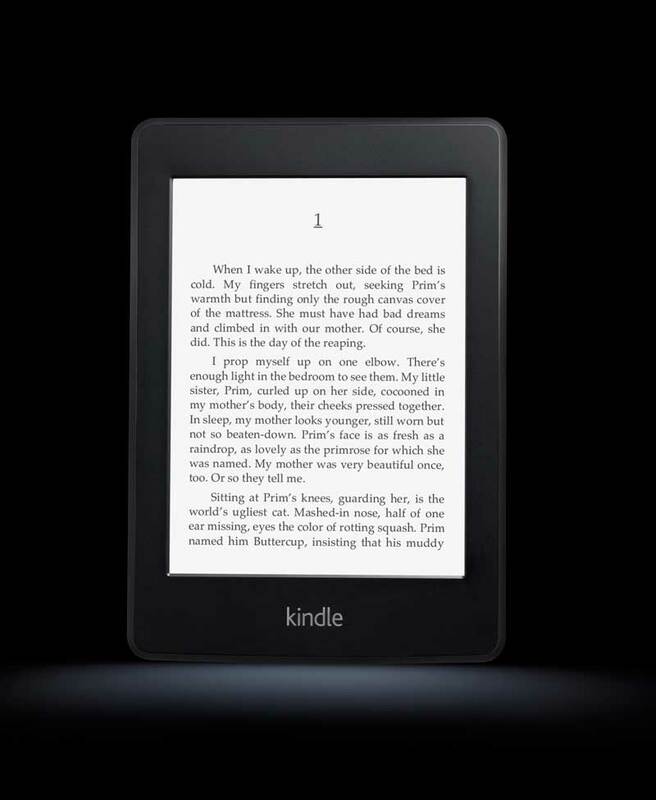 Kindle Paperwhite is available for preorder today, and will begin shipping on Oct. 1. It comes in a regular Wi-Fi-only model for $119, while a the version with free 3G connectivity costs $179. Without "special offers," the Paperwhite starts at $139, while the 3G version is $199. The traditional Kindle has also been given a $10 price cut, to $69 for the ad-supported model, and $89 for ad-free. It features new fonts, crisper text and 15 percent faster page turns, and will begin shipping on Sept. 14. Amazon CEO Jeff Bezos at Thursday's press conference in California. Image via CNet. Amazon is also pushing into the direct publishing business with a new service that allows authors to publish their works for free and within hours. With Kindle Direct Publishing, authors will keep their copyrights and can distribute globally, while receiving 70 percent of sales.